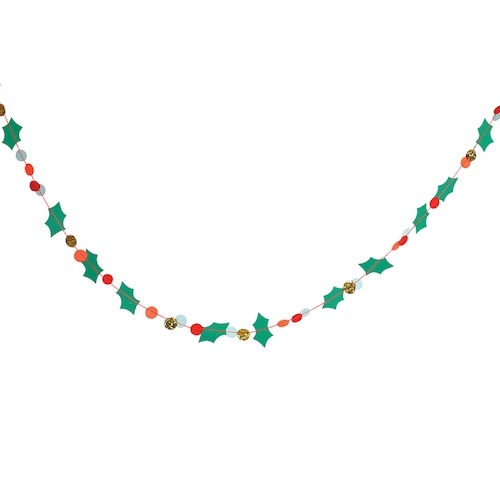 SKU: MM45-2330 Categories: Red & Green Christmas, Christmas Garlands, Garland, ON SALE! 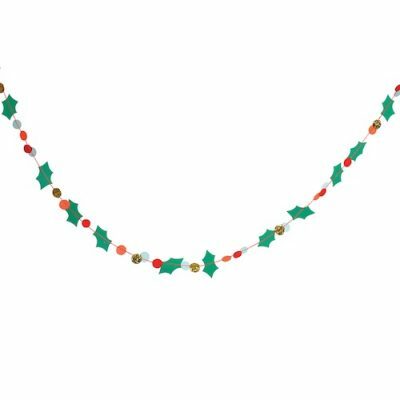 This lovely Christmas garland features pretty felt holly lead and berries in neon colours and gold glitter, all suspended on pink thread. Use on your Christmas tree or to decorate a mirror or area of your home.